Timucuan Multi-Use Trail — This 2.31-mile urban trail/bikeway in Little Island State Park is the first piece of a larger trail system which will protect and connect pristine habitat and historically-significant sites of North Florida. 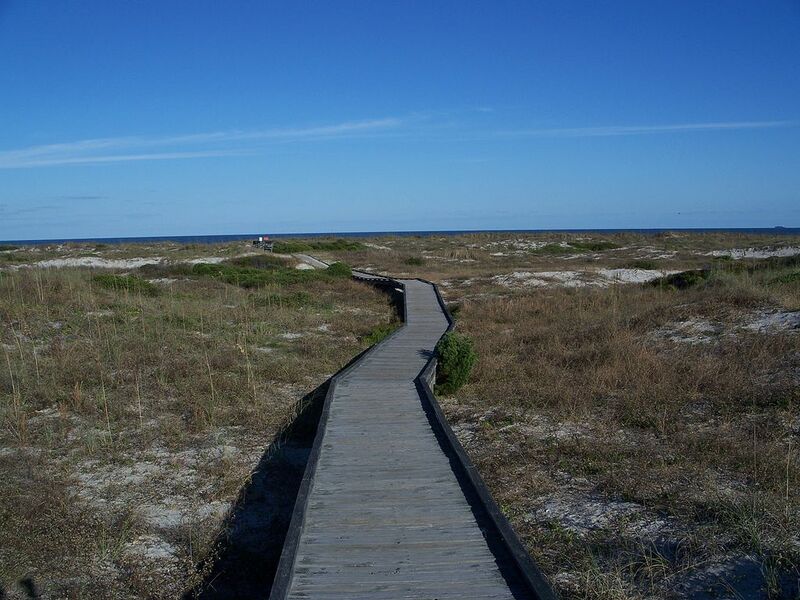 The Timucuan National Multi-use Trail ("Timucuan Trail") begins from Amelia Island State Park and extends through Hanna Park, a distance of 15.2 miles, through Northeast Florida preservation lands, National and State parks. The first phase (segment 1A) of the project is completed, a distance 2.31 miles in length completely located within Little Island State Park. 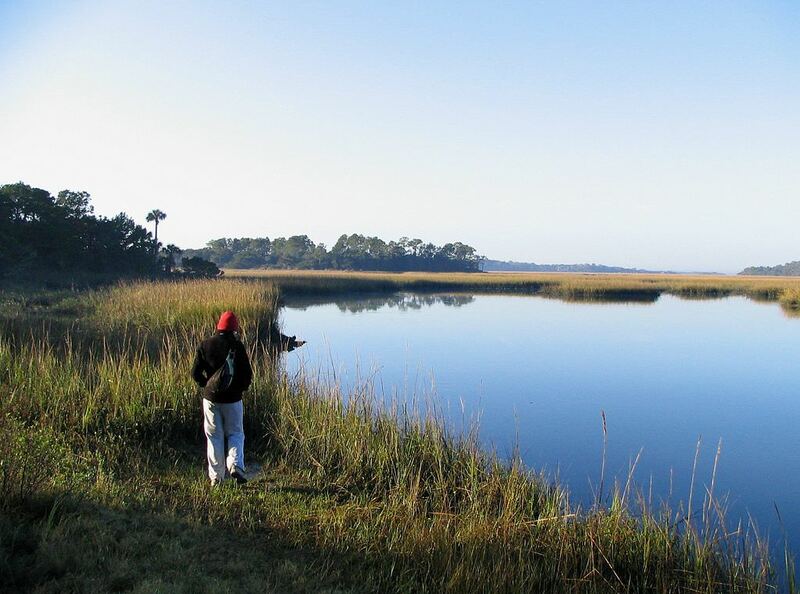 Since 1999, the Timucuan Trail Partnership has gained diverse support with the National Park Service, State Parks, TNC and the City of Jacksonville; covering over 84,000 acres of an estuarine ecosystem that encompasses coastline, salt marsh, coastal dunes and hardwood hammocks. The lands protected by the Timucuan Partnership enable the City of Jacksonville to protect pristine and picturesque scenes of North Florida while educating the public and protecting the archeological prehistoric and historic sites of human habitation of the region. Segment 1A is only a portion of the overall concept for the Timucuan Trail that is completed to date. 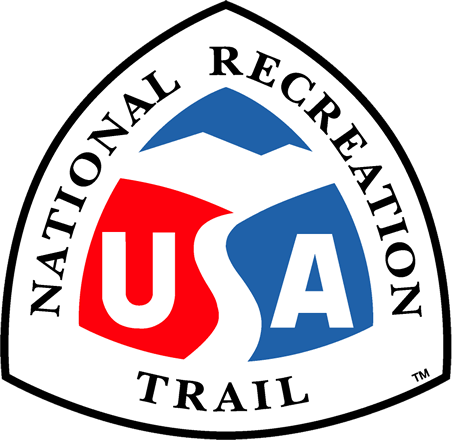 However, once all segments are completed, all users of the multi-use trail will be able to fully experience the natural and historic surroundings of the trail system, whether they are a naturalist, bicyclist, in-line skater, jogger, walker, dog-walkers, persons in wheelchairs, or just enjoying the afternoon; they will be able to enjoy and appreciate the unique ecosystems through which the Timucuan Trail will traverse. City of Jacksonville Parks & Rec. Boardwalk at Little Talbot Island State Park. Photo by Ebyabe. Little Talbot Island - Myrtle Creek Florida,.